Steven Glaser has spent the past 15 years focusing on government enforcement work. He represents corporations, officers, directors and employees in a wide variety of criminal and civil enforcement matters. He has extensive trial and appellate experience, and has handled complex white collar matters in both federal and state courts, and in connection with investigations by the Department of Justice, the Securities and Exchange Commission, the Commodity Futures Trading Commission, the Federal Energy Regulatory Commission, various state attorneys general’s offices, as well as district attorneys’ offices. The matters he handles include those involving securities and commodities fraud, violations of the FCPA, price-fixing, health care fraud and money laundering offenses. Mr. Glaser repeatedly has been selected for inclusion in Chambers USA: America’s Leading Lawyers for Business and The Best Lawyers in America. Mr. Glaser served as an Assistant United States Attorney for the Southern District of New York for more than five years. As a member of the United States Attorney’s Office’s Securities and Commodities Fraud Task Force, Mr. Glaser investigated and prosecuted a broad array of complex matters, including insider trading, accounting fraud, investment advisory fraud, and fraud in connection with both securities and commodities trading. Mr. Glaser also worked closely with civil regulatory agencies, including the Securities and Exchange Commission and FINRA. Mr. Glaser, by appointment by the judges of the United States District Court for the Southern District of New York, serves on the Criminal Justice Act panel. In this capacity, he represents indigent defendants in federal criminal prosecutions. Mr. Glaser frequently lectures and writes about current legal developments. He received the Burton Award for Legal Achievement (2006), which recognizes excellence in legal scholarship. 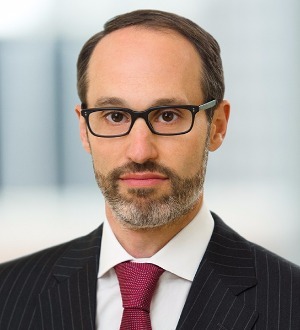 Mr. Glaser is also Skadden’s New York office hiring partner, as well as a member of the firm’s Diversity Committee.